With access to unparalleled levels of inventory, we can offer over 10,000 product types readily available for dispatch. If it isn’t in stock locally then it can be shipped from the central warehouse to you within 3 working days, which means most requirements can be fulfilled fully and with a quick turnaround. We offer for resale in excess of 25 vendors across a full breadth of the world’s leading component manufacturers such as AMD, Buffalo, Hitachi, Intel, Seagate and Western Digital to name a few. Kuhex is a leading Apple supplier. Over time, we’ve developed a great relationship with Apple and an extensive knowledge of Apple products. When you want the simplicity and reliability only a Mac can provide, a partnership with Kuhex ensures all your needs are fulfilled. Kuhex carry the widest range of desktop, notebook and tablet products and associated peripherals from the world’s leading manufacturers who cover in excess of 85% of the UK market including brands Acer, Apple, Asus, Fujitsu, HP, Lenovo, Sony, Toshiba and Samsung. Our sales and support teams have in-depth knowledge of these specialist products, along with access to substantial inventory held in state-of-the-art UK distribution centre for next day delivery. 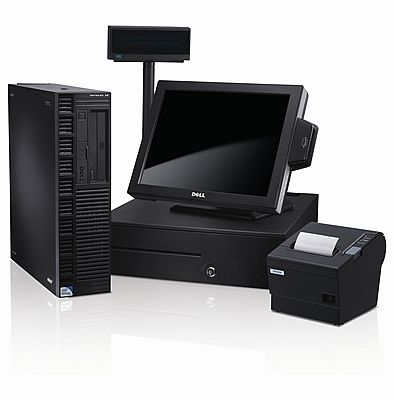 Once considered a disparate range of technologies, sidelined from mainstream IT and serviced through niche distribution, Auto ID Capture (ACID) and Point-of-Sale (POS) systems have now entered the mainstream with considerable impact. With dedicated pre and post-sale technical support and highly accredited specialist sales staff, you can be assured that you are receiving the best advice when procuring servers, storage, data back-up solutions and power appliances for these business critical installations. We are also here to support their on-going maintenance with both reactive (break fix) and proactive (software upgrade) warranty contracts that offer you total piece of mind. With the most comprehensive displays of vendor line-up in the industry, Kuhex showcases best-in-class products from consumer low-end displays to digital signage with attached services and solutions from initial consultation through to software and hardware specification, installation, content creation and on-site maintenance support. Kuhex are able to offer the broadest portfolio of vendors for both hardware and supplies from Brother, Canon, Epson, HP, Kyocera, Lexmark, Samsung and Xerox. This broad range of vendors is supported by our experienced team of Business Managers and Product Specialists who can guide you through the diverse spectrum of categories from a consumer inkjet to a fully Managed Print Solution. Our specialists can also provide in-depth knowledge on total cost of ownership (TCO), environmental requirements, workgroup solutions and latest technologies to provide a solution to meet your requirements.